We all want to eat a little healthier and be heroes in the kitchen. Sometimes, if you’re like me, there are days that I’m completely stuck in a rut, especially during the summer months when the heat is frying my brain. 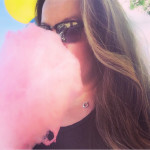 Defaulting to the BBQ is not a bad thing, but here are a few food delivery options I have tried that make meal planning that much easier. 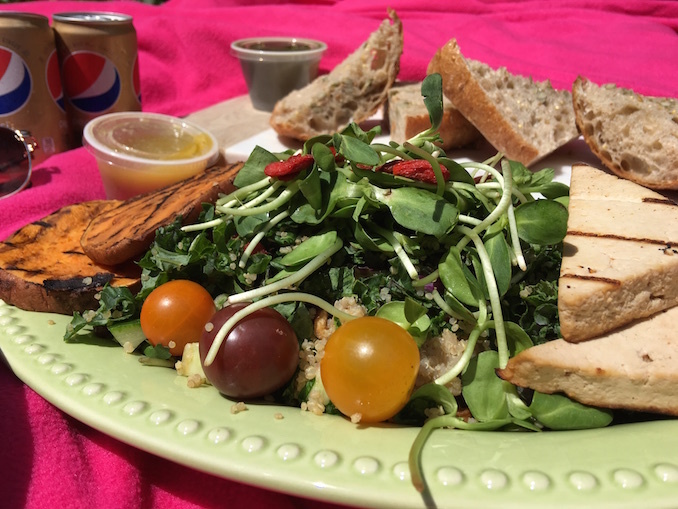 From picnics in the park to full dinner meals ready to prep, these Toronto food delivery options have saved me from my cooking ruts. 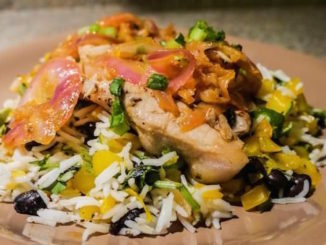 HELLOFRESH: I know that Rebecca has also recently tried this latest service into this highly competitive market but what I was most interested in was not only the taste of the food, locally sourced ingredients, but also the portion sizing. This particular company is outstanding with generous portions especially for families. If you have kids who are interested in cooking, I’ve found the instructions here are simple enough to follow for them as well. Select three meals for the week for the number of people you need to cook for. Delivery of ingredients and recipe instructions come to your door ready to cook when you are. 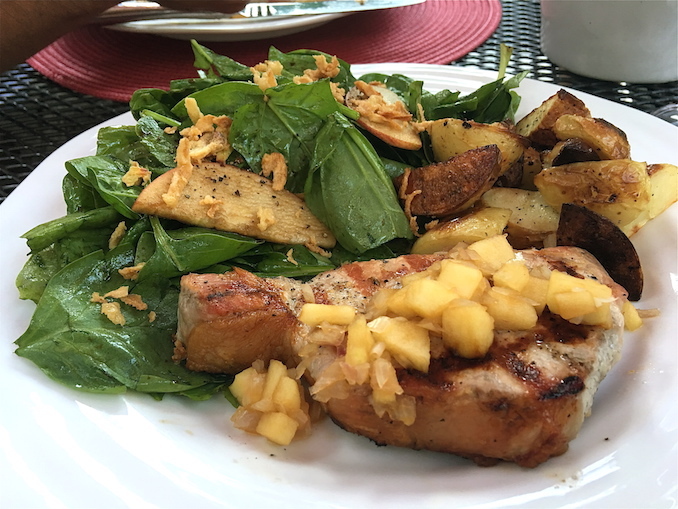 We had a chance to try the Smoky Chicken Fajitas, Teriyaki Glazed Meatballs with Basmati Rice and Crunchy Cabbage & Carrot Slaw, and Pork Chops with Roasted Potatoes, Apple Compote and Spinach Salad with Crispy Shallots. All were very tasty and turned out picture perfect just like the images shown on the recipe cards. THE FROZEN BUTCHER by Beretta Farms: We are already familiar with this family run farm that supplies even to major grocery stores now but did you know they also deliver right to our homes, eliminating the middle man? We’ve tried the frozen ready-meal entrees (ideal for cottage season) where you can simply pop in a casserole into the oven and have a wholesome dinner ready without the fuss or the mess. Recently, we also had a chance to try out this online & home delivery service that also includes seafood to their roster of popular cuts of meat. The Raw Jumbo Shrimps (sustainable, Ocean Wise) were the best we’ve ever had. Plump and full of flavour! 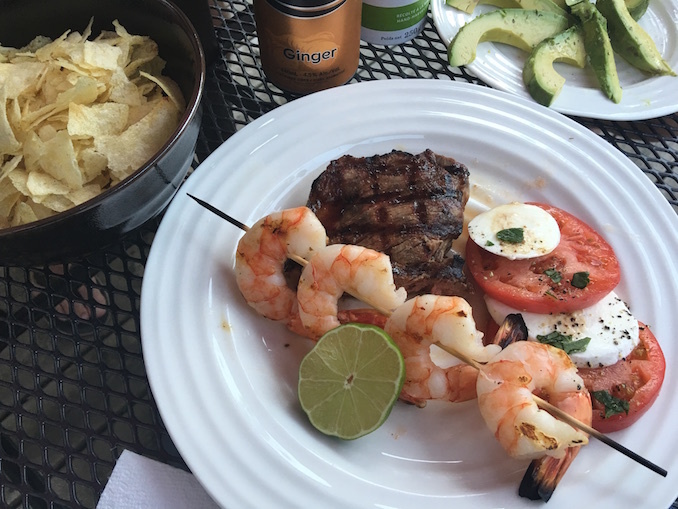 We discovered a recent Surf ‘n Turf pack special that was perfect for a special occasion. 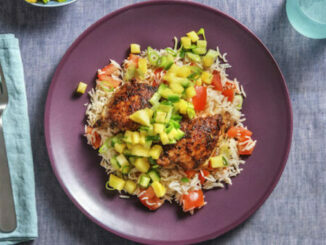 CHEF’S PLATE: Fresh meal kits here are offered in decent portions (they’ve also introduced a family plan) for the number of people you need to cook for. New recipes are offered each week (including vegetarian options) and you can select what appeals to you. The ingredients are all pre-measured out and labelled ready for you to cook. The service takes out the guess work of recipes, grocery shopping and measurements. Instructions come with each meal kit. I like that I’m not wasting any extra ingredients. Recently I drooled over the Two Cheese Caprese Pasta, and the Roasted Summer Squash and Eggplant Banh Mi. 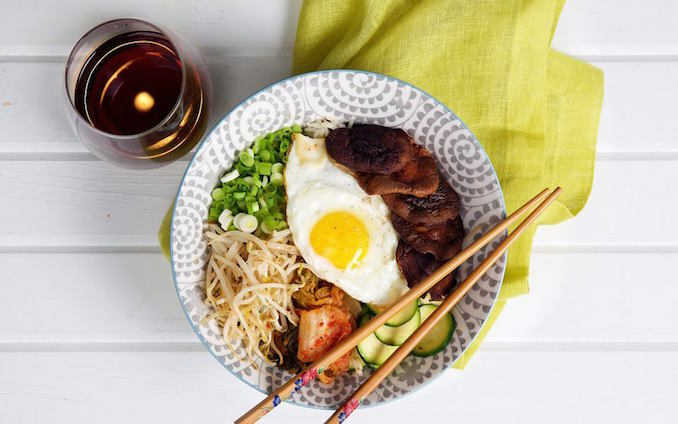 They also did a bibimbap recipe! FOODORA: This food delivery on demand app has connected with many of my favourite restaurants in the city to get food I love (beyond the usual pizza chains and rotisserie chicken spots) delivered right to my door. They’ve just added a PICNIC category that allows you to order from popular restaurants (e.g. Mean Bao, Fresh, Banh Mi Boys, Burger’s Priest, Come and Get It and more) within the vicinity to be delivered right to you at the park. I had ordered my favourite Green Goddess soba noodle bowl and the All-Star salad from Fresh to enjoy outdoors and it arrived promptly. Turn on your notifications on your mobile device to get updates on when your food is picked up by the driver and when your delivery is on its way. Courteous and prompt customer service. Pay via credit card on file including any tips. FEAST: Order your meal online from reputable chefs in the city. Through the app, you can order the meal of the day on demand or schedule in advance. Food is delivered by bike or by electric car. Chef, and food author, Trish Magwood is part of the culinary team behind FEAST. Limited number of meals are prepared each day so it’s no surprise they sell out quickly. I’ve been getting daily notifications on my phone about what is being prepared. Recent offerings included a delicious chilled Rice Noodle salad as well as a Braised Beef Ragu on Orechiette Pasta with Charred Rapini. The daily menu also lists dessert of the day. 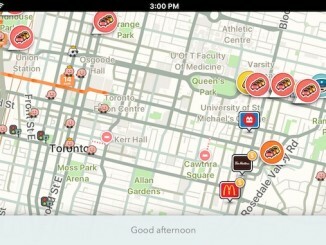 Let us know about your favourite Toronto food delivery options.